The synthesis of iconic elements of the Genesis design ethos, Athletic Elegance, contribute further to a sleek, aerodynamic design. 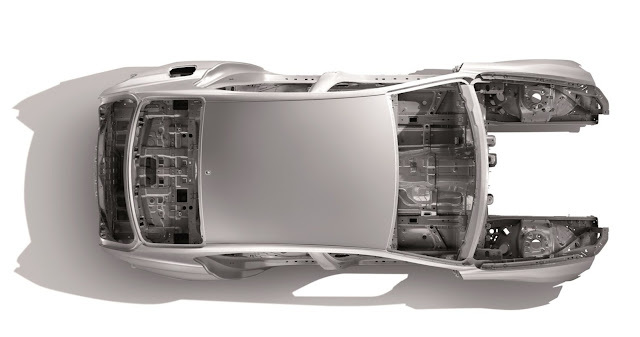 G70 has the lowest overall height and widest overall stance in the segment providing exceptional dynamic performance from the resulting low center of gravity. The kinetic form language of G70 was engineered to return a sleek 0.28 Cd, allowing G70 to slip through the air. 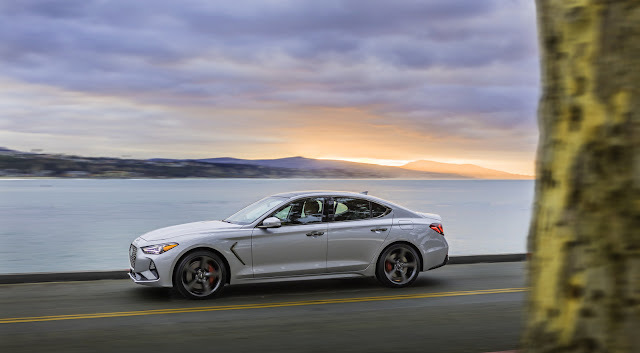 When fitted with aggressive 19-inch wheels and Michelin® Pilot Sport 4 summer tires, G70 returns 0.29 Cd. 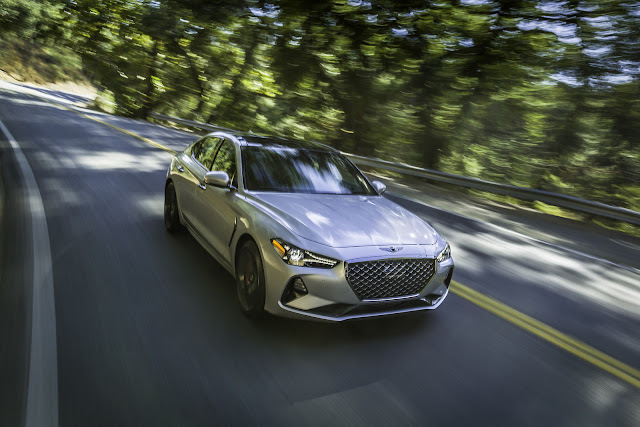 Enhancing the driving appeal of G70 is Active Sound Design, which offers drivers the ability to enhance the interior ambiance with a throatier engine sound. Sound settings were created based on the science of harmony, to produce bright, euphonious tones that pair well with all types of roads and driving conditions. Five available drive modes—Sport, Comfort, Smart, Eco and Custom—synchronize with the Active Sound Design profiles. The performance-focused G70 luxury sport sedan has been tested under the most challenging environments and surfaces in the world, including Death Valley (U.S.), northern Sweden, the Nürburgring (Germany) and the Alps (Austria) for driving stability, handling, durability and power delivery.